Free training on International Human Rights! 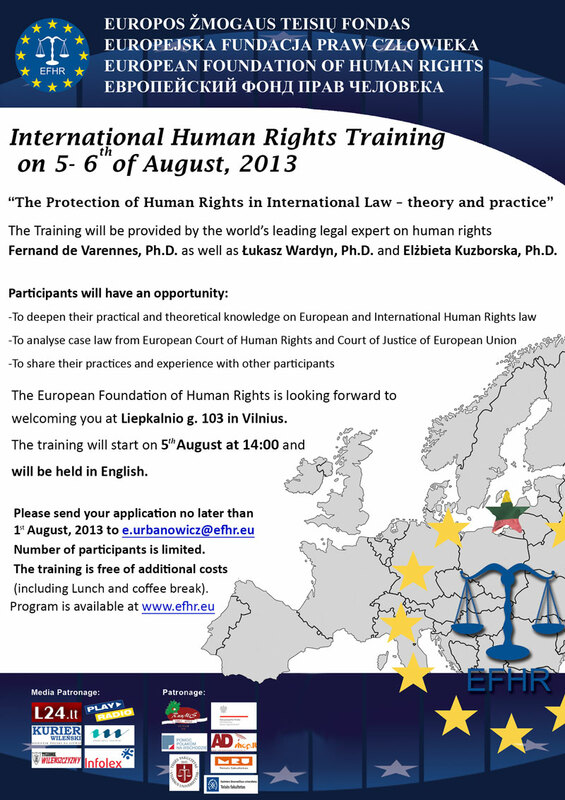 The European Foundation of Human Rights is pleased to invite You to International Human Rights Training on 5- 6thof August 2013, during which participants will have the opportunity to deepen their practical and theoretical knowledge on European and International Human Rights law. During the training case law from European Court of Human Rights and Court of Justice of European Union will be analyzed and participants will have a chance to share their practices and experience with other participants. The lecture will be held in English, on 5-6th August 2013 starting at 14.00 in the headquarters of the European Foundation of Human Rights at Liepkalnio 103, Vilnius LT-02121. The training is addressed to lawyers, judges, administrators and students, as well as to all other people interested in these issues. Number of participants is limited and reservation will be processed on a „first-come-first“ served basis. 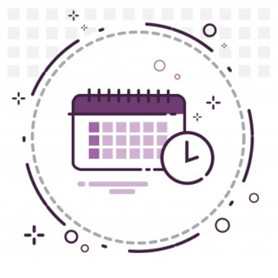 The training is free of any additional costs charge (include Lunch and coffee break). Fernand de Varennes, Ph.D – obtained a BA degree in the law in Canada, and an MA degree in the London Institute of Economy and Political Science. In 1996 he obtained his Ph.D. degree in the Netherlands, in the Maastricht University. Elżbieta Kuzborska, Ph.D – Doctor of Law, lecture on branch of the University of Białystok in Vilnius. The uthor of publications in the field of public international law and human rights protection, mainly the protection of rights of national minorities. In 2011 and 2012 her two monographs dealing with legal protection of national minorities in Lithuania were published (2011, “Artprint”, Vilnius: “Teisinė tautinių mažumų padėtis Lietuvoje”, 2012, “Artprint”, Vilnius). Łukasz Wardyn, Ph.D – lectured on international and European law in Kozminski University. In 2009 he was a post-doctoral fellow at Harvard University. He’s an expert in international law, dealing with issues of human rights and national minorities.